Syndrome wolf Parkinson white (WPW) – a condition involving the presence of an additional path of the pulse in the heart. Over-stimulation of the ventricles can be caused by different reasons. However, not all patients with pathology feel the painful symptoms. Often the disease is detected during her medical examination on a particular occasion. 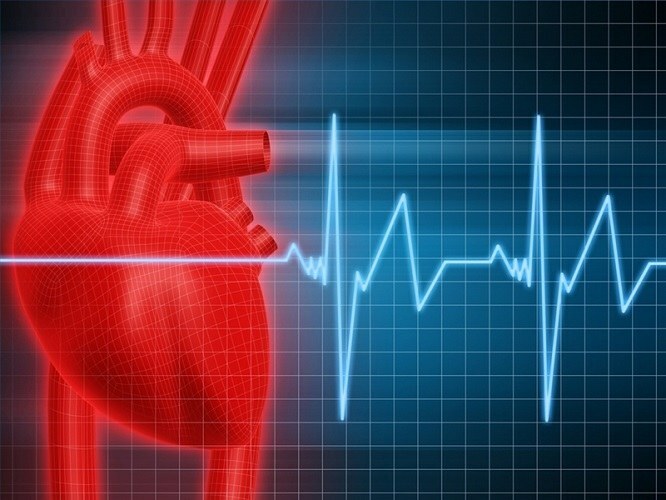 Patients with cardiac impulse passes through an additional channel, can experience a number of health problems. The most pronounced tachyarrhythmia, orthodromy reciprocal or antidrama supraventricular tachycardia, paroxysmal atrial fibrillation. The heart rate increased to 240 per minute, which leads to ventricular fibrillation. Catheter ablation is an operation which can be done in the syndrome of Wolff Parkinson white (WPW) absolutely for free in the framework of the provision of quotas for high-tech medical care. Patients with the syndrome of Wolff Parkinson white (WPW) can feel not only palpitations and interruptions in the heart, but chest pain, high fatigue, weakness. Excessive sweating, frequent fainting, ringing in the ears, bouts of severe dizziness – all these are the main symptoms of wolf Parkinson white (WPW). When asymptomatic disease syndrome wolf Parkinson white (WPW) diagnosed by changes in the electrocardiogram. For accurate diagnosis the patient is administered a diagnostic method transesophageal electrical pacing. In the wall of the esophagus installing the electrode, causing a decrease heart different frequencies. Typically, the bundle of Kent ceases to participate in the activities of the heart muscle when filing frequency from 100 to 150 beats per minute. Regardless of whether the patient is experiencing certain symptoms, or believes that fully healthy, in the diagnosis "Syndrome wolf Parkinson white (WPW)," the doctor develops an individual treatment method. Complications of catheter ablation are rare. The recovery period is fairly quick. The heart rate usually recovers. For accurate diagnosis of the syndrome wolf Parkinson white (WPW) apply ECG 12-lead ECG, daily monitoring, and endocardial electrophysiological study of the heart muscle. The choice of treatment methods takes into account the clinical picture of the disease obtained data a comprehensive survey. Modern anti-arrhythmic drugs are prescribed for life. But the most radical and effective treatment is catheter ablation. Additional path for cauterize, the surgery lasts about one hour. Through the day the patient is discharged from hospital.